Home / Career / Jobs / Six Behavioral issue that can cost you the Job interview. 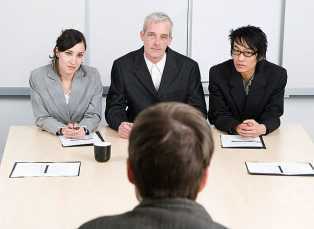 Six Behavioral issue that can cost you the Job interview. There are some behavioral Issue that employers dont take likely with job seekers, this negative behavior are common in our daily life and as a job seeker, you must learn how to work on it seriously to perfect your readiness for job interviews. However, many dont even know they have this problem untill someone point it out to them, that is why it is very important to ask close friends or family members simple question about your self and hope for sincere answer sometimes. Let me not bored you with too much talk. So, let go straight to the point. This are situation when you routinely roll your eyes, when you avoid making eye contact, week hand shake, crossing your arms in front of you, checking your watch, and wrong face movement etc during interview. This may cost you the job. Work on your pronunciation before going for an interview. a). OverConfidence: when you believe so much that your imput is greater than the objective you are working for. For instance, having a 90% feeling or believe that you are ready for an interview that you did not prepare for and then you relax without more preparation, you may only know 40% out of 90% of what you thought you knew. b). UnderConfidence: This Can be as a result of fear or low self esteem, it might also be as a result of poor preparation for the interview. So guys dont let this cost you the job, prepare well before an interview. Some Employers pay critical atention to time. So ariving late to interview venue might cost you the job that is why employers take records of time you arive for an interview. There are different ways an employer may decide to test your listening ability one of which is introducing five interviewers to you and then you will be ask to call their name one after the other. Another thing is when you make mistake during interview then you are correct and you keep repeating same mistake again. That can cost you the job. leaving your phone on charge even when there is light can cost you the job.Due to the shortage of electricity in this environment we find our self, your phone may be down and when you dnt take action to charge it, probably you might miss a job interview invitation. So therefore try as much as posible to avoid any of this cost you the job interview.